I could never understand liberal’s love of dictators and communist. For some reason they seem to gravitate to some of the worst dregs of the world. I am reminded of this because of the recent trip of Jay Z and Beyonce to Cuba. But it is not just the trip to Cuba. 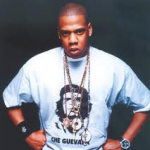 Jay Z also chose to wear a “T” shirt with a picture of Che Guevara on it. Jay Z must be totally ignorant of Guevara’s history and his dislike of black people. 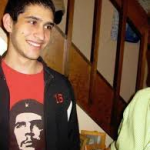 For those a bit younger who were not taught in school Guevara was the henchman for Fidel Castro. It is reported that he relished his position as head of the execution squads to kill all those who opposed Castro and capitalists. Trials were not considered a prerequisite to the executions. Women and children were also killed. Jay Z is both a capitalist and black. Guevara would have executed him without a trial. My only thought is that Jay Z being a deluded liberal thinks that he would be part of the ruling class because of his compassion.